Cinvim Global is the best place to buy guar gum powder. We are completely focused to attain global business visibility through the supply of organic guar gum powder, high viscosity guar splits, industrial grade guar gum, guar splits and others for food grade, chemical, textile, pharmaceutics and other industries. We export our products across the globe. Our aim is to provide best service to our clients that includes original and high quality products at lowest price, reliable and timely delivery of the products. 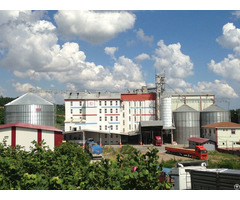 Business Description: We Cinvim Global was only a manufacturing firm until 2015, and that was the year when our cutting edge manufacturing process meet the new horizons of exporting, supplying, exporting of Various Grades of high quality of Guar Gum, Animal Feeds, Extraction Meals and De-Oiled Cakes. We are having registered office at Surat, Gujarat of India backed by an ultra modern manufacturing and storage warehouse these infrastructures are further segregated into diverse units such as Research and Development, admin, Sales, Procurement, Quality Testing, Logistics, Warehousing, Production and Packaging, well resourced with machinery tools and equipments all these units are manage and function under the supervision of extremely talented team of professionals and our founders. 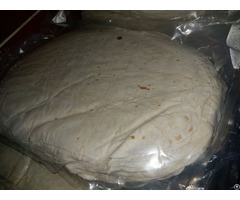 Being a quality and service driven organization we guarantee our overseas clients for the best quality and parameters of our products with hassle-free functioning and day to day report of the consignment with pictures and current status while it is being getting ready, until it gets on board for shipping. Let us know to get a quote for any of our product and experience our best in class services and high quality products, every professional individual or firm is always welcomed 24*7 at any time! We provide Free Samples too!! !